1. 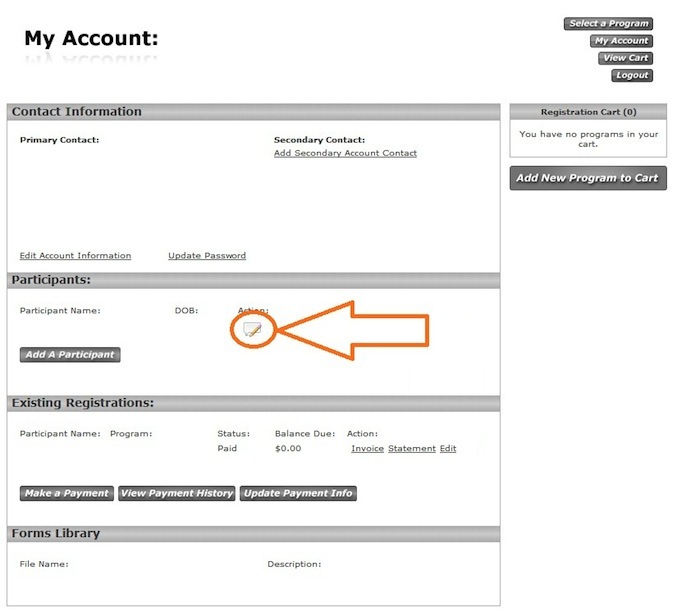 Once you've logged into your My Account, click on Add A Participant under the Participants section. 2. Enter your Participant Information (the fields with the red asterisk* are required). 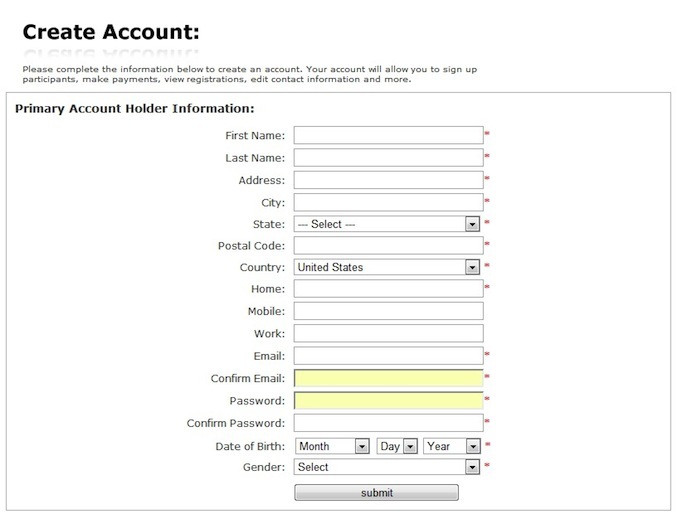 Forms can be downloaded in two sections. 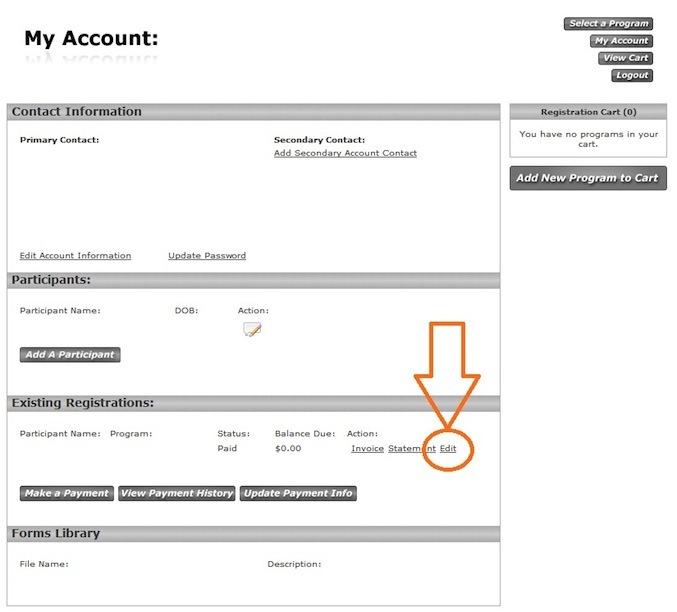 You can edit existing Registration Questions in the My Account by clicking on Edit under the Existing Registrations section. 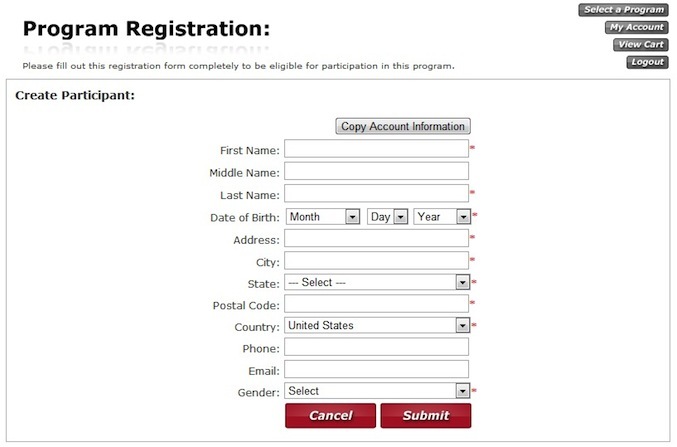 This allows you to answer or update Registrations Questions no answered during the regular registration process. 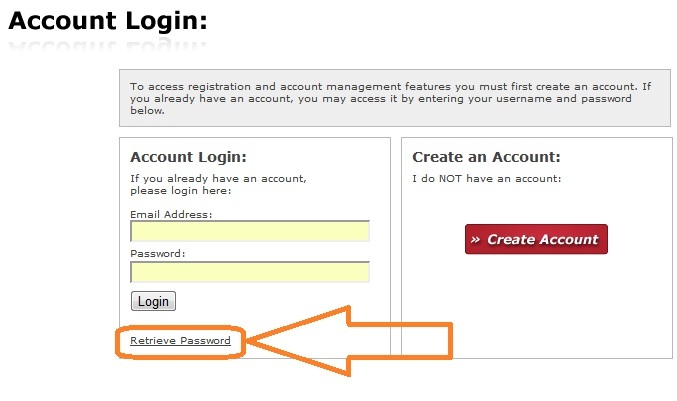 In the event you've forgotten your password, simply click on "Retrieve Password", just below the Login button. Enter the email address you used to create your account, click Submit and the system will forward your password to that address. 1. 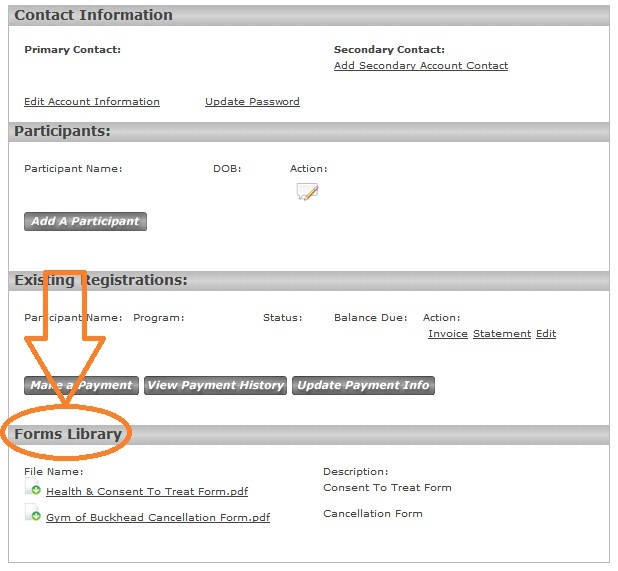 Click on 'Log In' or click on 'Register Now' next to the Program you wish to register for. 2. Click on Create Account. 3. Enter the information requested (fields with red asterisk* are required). The email address and password you enter will be used to log into your account later. 4. Ensure all information is correct, click on Submit and your My Account has been created. You can now create registrations. You can make a payment toward your registration(s) in the My Account by clicking on Make A Payment under the Existing Registrations section. 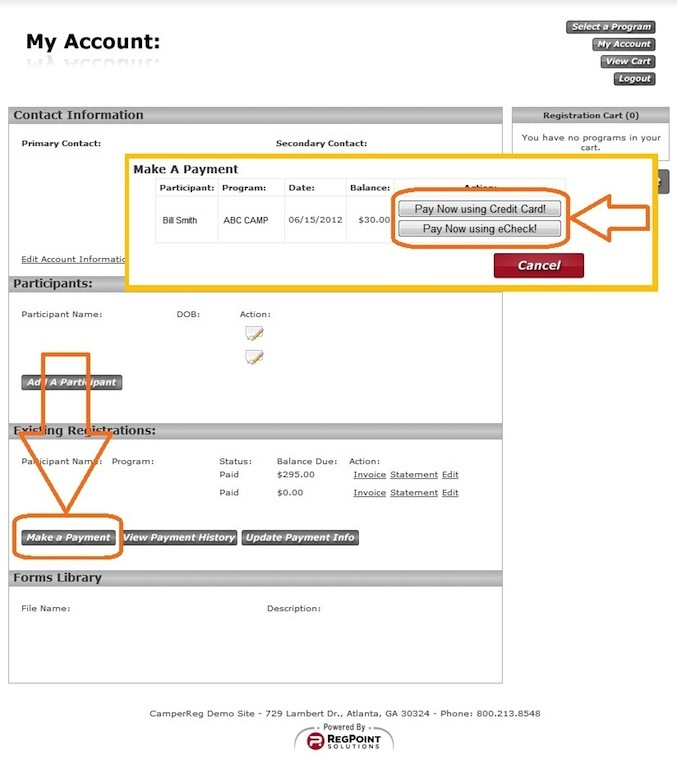 This allows you to apply payment(s) toward new or existing registration(s). You can filter and/or search Programs utilizing the Search for a Program function at the top of your screen on the main page of the shopping cart. The Continue button will activate once all required fields (with red asterisk*) have been completed and you have either 'tabbed' or clicked into another field.